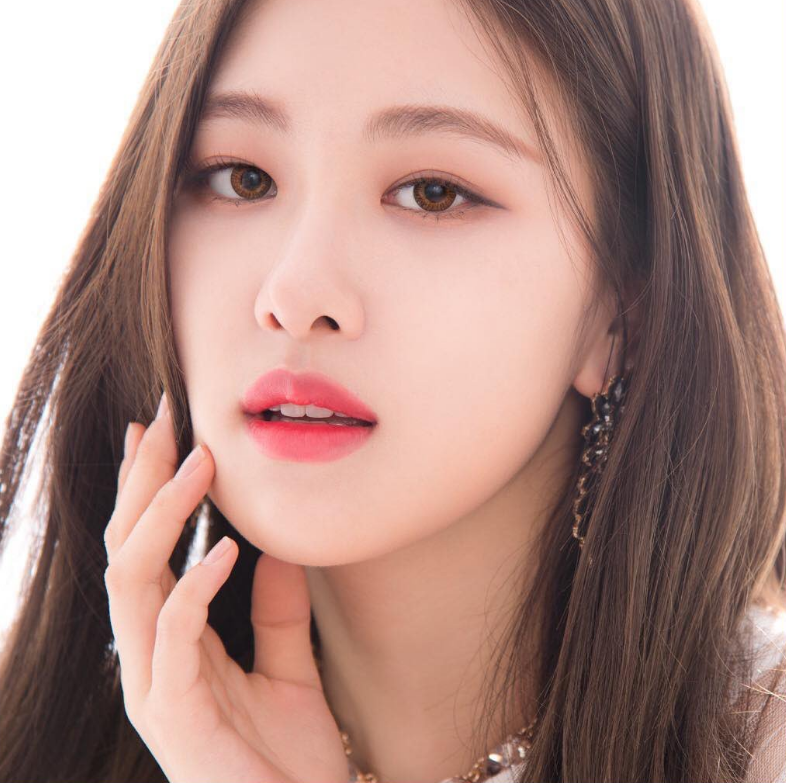 – She is Korean, but she was born in Auckland, New Zealand (according to Rose during V Line; and according to Rose during Radio star), and raised in Melbourne, Box Hill (Australia), where she attended Canterbury Girls Secondary College. – She has an older sister, named Alice. – Rosé placed first in YG auditions in Australia. – Pre-debut, Rosé used to be a cheerleader in Australia. 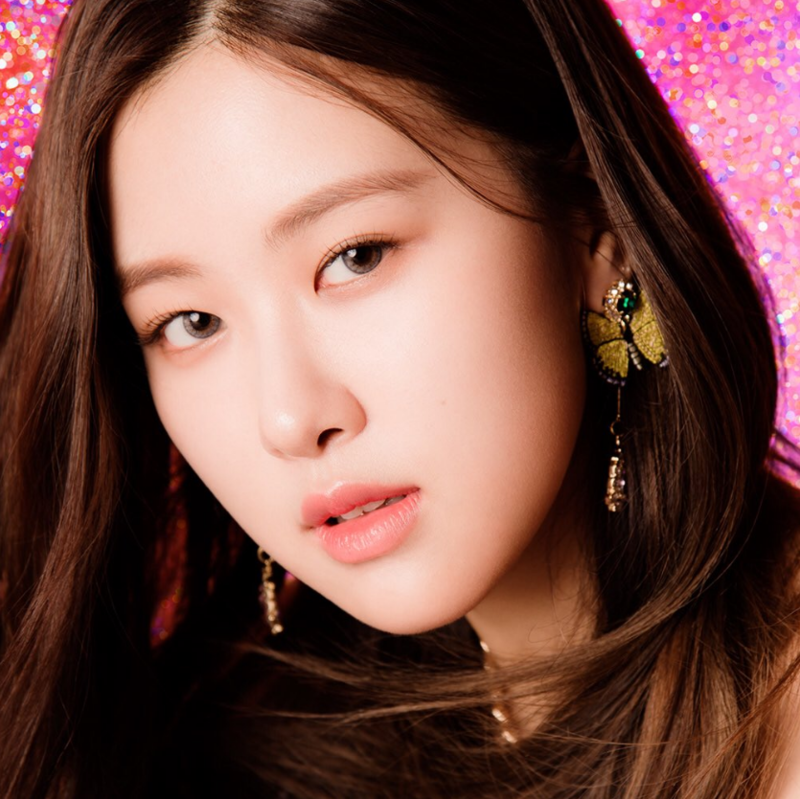 – When she was younger, Rosé joined a choir, singing in churches in Australia. – She’s known for her unique voice and slim waist. Her stylist said that her pants size is 24 (size 0) and she confirmed that her waist is 24 inches (60,96cm) wide. – Rose joined the group on May 7th and Lisa’s first thought on her when they met on the elevator was “Oh! I got a special vibe from her! Australia!” (13th of April,2017 on V Live). 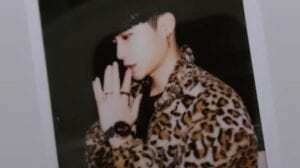 – She collaborated with G-Dragon for the song ‘Without You’. – G-Dragon said that he really likes Rosé voice when he did a collaboration with her back in 2012 and said that her voice is really unique. – Rose also can play the guitar. – Rose also likes drawing. – She really likes Kimchi stew. – She hates avocados. She says it’s mushy and weird. – She hates avocados but owns an avocado plush toy that she got in New York. – Rosé doesn’t like jokbal. – Her favorite drinks are healthy drinks. – Rose is very sensitive, and cries very easily. – Her favorite number is 5 and her favorite equation is 5×3=15. – Her hobbies are playing guitar and drawing. – She becomes sleepy when she does nothing. – She can twist her hands and she can talk even if her mouth is closed. – She has a habit of biting her fingers when no one is looking at her. 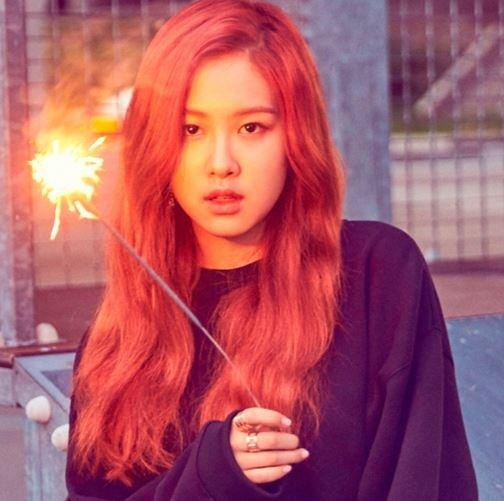 – Rosé has a pet fish called 주황이 (Joo-hwang) which means orange. – ROSÉ’s role model is Gummy. – Chaeyoung (Rosé) is close to Twice’s Chaeyoung and Tzuyu, with Red Velvet’s Joy and Yeri. – Rosé is Christian and goes to church quite often. – In Weekly Idol, Rosé said that MC Jeong hyeong-don reminds her of her father. – Seungri said that Rosé reminds him of Taeyang, she has strong vocals and has a lot of soul as an artist. – Rosé appeared on the King Of Masked Singer and passed the first round, but unfortunately she couldn’t pass the second round. She was really close, the votes were 50-49 but sadly she couldn’t make it. – She said on last VLive that she has got five ear piercings. – Rose and Lisa are the first K-Pop girl group members to reach 1 million ‘likes’ on Instagram. How much do you like ROSE? She can twist her hands, she can talk even if her mouth is closed, she has a habit of biting her fingers when no one is looking at her. 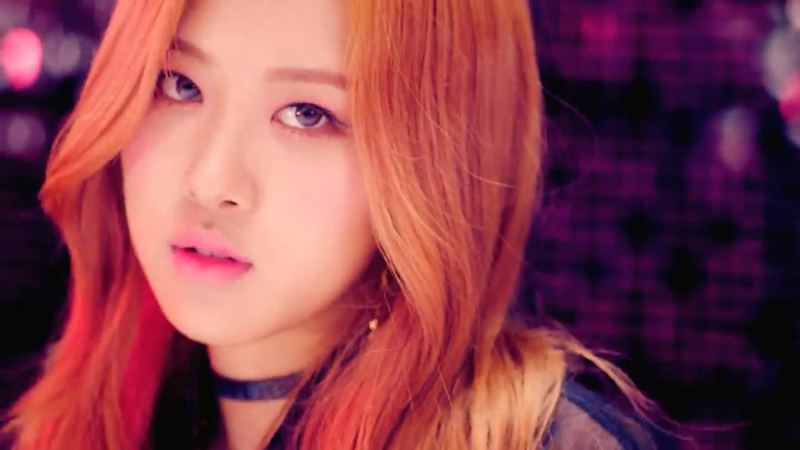 ROSÉ’s role model is Gummy. She Is My Ultimate Bias In BLACKPINK. Rose loves to eat peppers, i think she mentioned it in the blackpink house and lisa also mentioned it in their vlive for as fi it’s your last. Is she really close with Twice Tzuyu??? Because I know that Twice’s Chaeyoung and her seems close. But with Tzuyu,really?! Hi, on fantastic duo she said that ranked number one, in the audition held in Australia. Can you mention that, for new fans too. I think she said on BLACKPINK House that the type of food she really likes is Thai. Whne she ate pho with Lisa. SHE is also close friends with jihyo , nayeon of twice. She is friends with Irene of redvelvet. Rosé said recently on the car when a fans asked what food she hates is Avocado. Actually she’s in luv with Mangoes, on lots of radio interview she said she can win on an eating contest between the members who can eat the most of it. wasnt rose in the 100 most beautiful facesof 2017??? She is the most talented member in blackpink. I mean they all are, but Rosie stands out the most. Who doesn’t love her tho? I believe she’s the stan attractor. I love her omg I want to be best friends with eeeeek! She’s so cute and we have extremely similar personalities. (from vlive) When Rose was in high school. She ran with her friend to the cafeteria to beat the queue but tripped over a bump & scratched her knee. She still has a scar of it. Rosé had two pet mice called stomp & gump. She found out thru the phone that Her pet fish died and she cried in front of her members. how is she unpopular? Where did you get your opinion? She’s one of the most sought-after vocalist in Korea and her videos on youtube garnered millions of views. Her cover of Halsey’s song has 12 million views and it was just a cover! She has a huge following on Instagram. She is one of the top 5 vocalist in Korea. Her cover was featured in Coachella, Billboard websites. How can you say that she is unpopular? 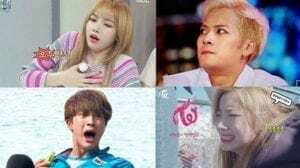 Just because Lisa and Jennie are more popular than her?